No, it is not St. Patrick's Day yet. 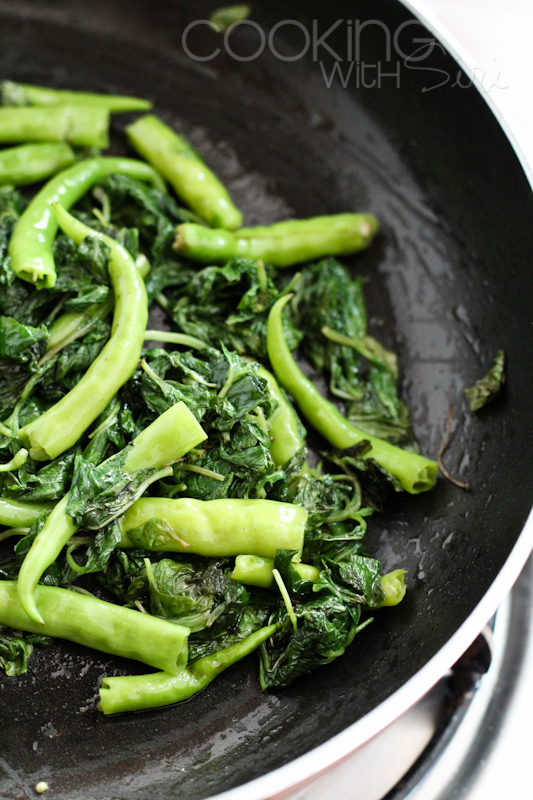 I will be 'going green' with my recipes, all of this week for an another reason. (Click here to know why) To know what it is, you gotta wait till December 31st 2011. :-). Mint leaves are available in abundance in the markets. 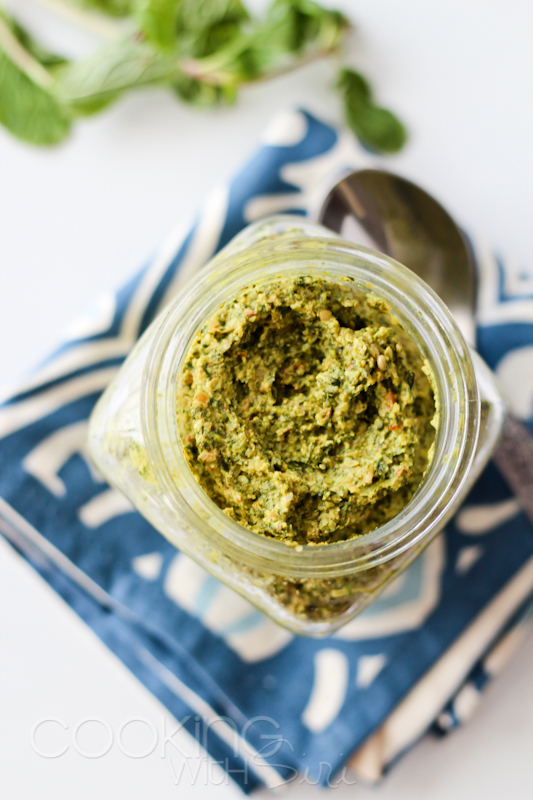 Go grab some and make this chutney..
For me, a piquant chutney is what completes a meal. I, sometimes just spread some on a piece of toasted bread and enjoy it as-is. 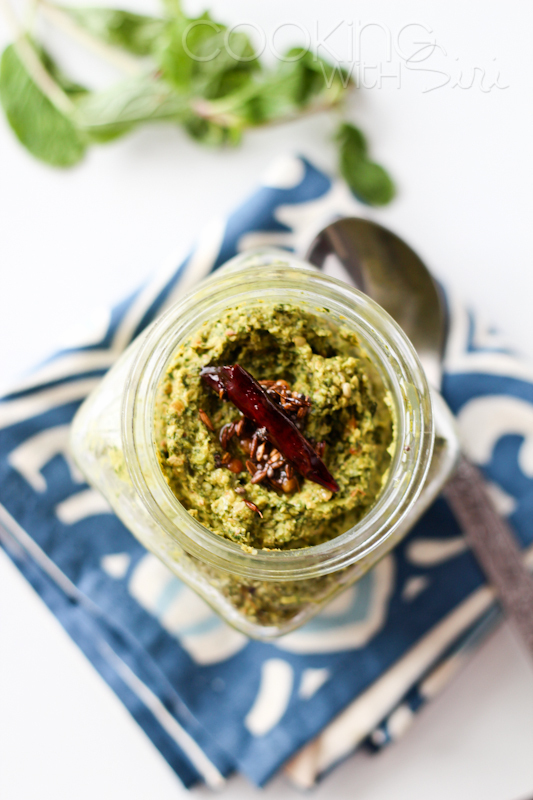 Today's recipe - Mint Peanut Chutney is one such combination which tastes delicious with everything and anything. It is incredibly easy to make and last for a good whole week when refrigerated. Enjoy! Cook mint leaves and green chillies until wilted. Grind the chutney to a consistency of jam..
1. In a pan, dry roast peanuts and sesame seeds. Keep aside. 2. Heat oil on a medium-low heat. Add mint leaves and green chillies. Cook for few minutes, until wilted. Season with salt and turmeric. Finally add tamarind extract. Cook for 1-2 minutes. Allow it to cool a bit. 3. 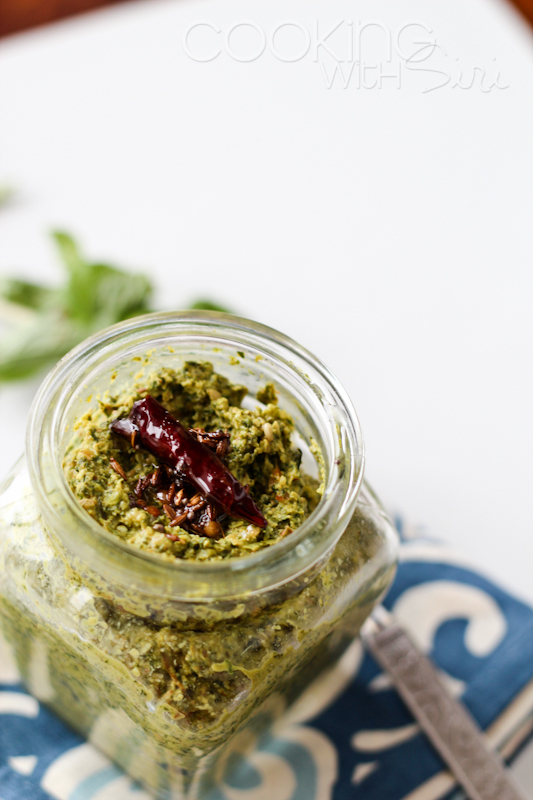 Grind together - mint leaves mixture with dry roasted peanuts & sesame seeds. Adjust salt if needed. 4. In a small pan, heat oil and add all ingredients listed under 'Tadka', until slightly brown. 5. Add tadka to pudina chuntey and Serve with hot rice or with dosa or idli. Store the rest of it in an air-tight container & refrigerate until next use. It is Holiday Season and best time to spread some happy cheer all around. Its time to give-away something special to my readers who supported me all along the way. Check out these two give-aways - One for peeps in India and other for US residents and enter today, if you haven't already. Last Date - December 31st 2011.
ooh ! such a yummy chutney ! Wowww... Lovely and healthy chutney.. Adhurs !! wow, this looks like perfection! mint and peanuts are genius! I am heading out to the store and getting myself a big fat bunch of mint!